WWE has confirmed Becky Lynch and Sami Zayn & Shinsuke Nakamura and Natalya, as the latest teams for the Mixed Match Challenge, which begins next Tuesday on Facebook Watch. Shinsuke Nakamura will team with Natalya to represent SmackDown LIVE in the WWE Mixed Match Challenge tournament, airing exclusively on Facebook Watch beginning next Tuesday. The explosive pairing of The Artist with The Queen of Harts will truly prove to be something special. 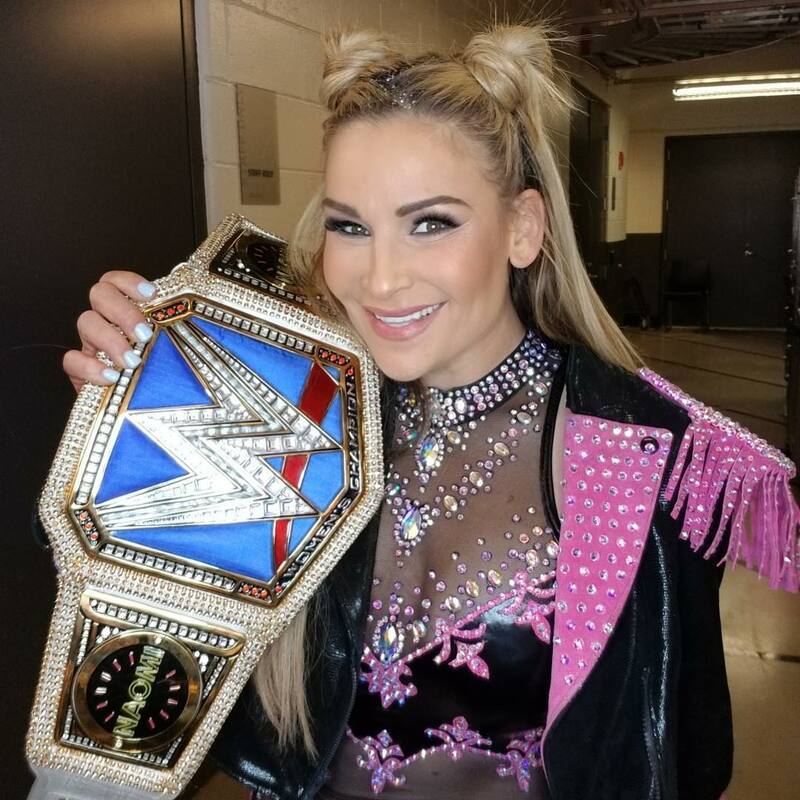 A graduate of the infamous Hart Family Dungeon, as well as a former SmackDown Women's and Divas Champion, Natalya has shown time and time again that her technical expertise is second to none. Mixed with the charismatic Strong Style of the two-time NXT Champion, this combination promises to present a tag team arsenal so dynamic, so explosive, that it could arguably rival that of the original Hart Foundation. Together, Nakamura and Natalya will do battle in the ground-breaking tournament on Facebook Watch, where male-female WWE Superstar pairings will attempt to win $100,000 for a charity of their choice. Each showdown in the competition will follow traditional Mixed Tag Team Match rules: When tagged, male Superstars face off with the opposing team's male competitor, and female Superstars battle fellow female competitors. At WWE Mixed Match Challenge, Bayley will walk with Elias. Although Samoa Joe had won the right to partner with Bayley by scoring the most fan votes on Facebook, the dominant Superstar suffered an injury during Monday Night Raw that will keep him out of the ground-breaking tournament. As a result, Elias, who received the second highest number of votes, will officially team with Raw's favorite hugger to represent Team Red in the WWE Mixed Match Challenge tournament, airing exclusively on Facebook Watch beginning next Tuesday, Jan. 16. The two Superstars may seem like opposites at first glance, but Elias and Bayley share the important distinction of emerging to prominence in the turbulent world of NXT, having dared to bring their respective forms of self-expression to the main roster – Elias through song and Bayley as the Superstar who isn't afraid to hug it out. However, when the bell rings, both competitors are all business, and it's this mutual no-nonsense approach to their matches that will make them a dangerous tandem. When one considers what Bayley has accomplished, first as a trailblazing NXT Women's Champion and then as Raw Women's Champion, her partnership with the up-and-coming Elias may prove extremely beneficial for both Superstars. Bayley will most-likely establish herself as the leader of the team and will therefore be able to approach the competition on her terms. Not only will her influence bring Elias to the next level, but their mutual intensity, mixed with their initial unassuming personas, will be something that their tournament competition may not take seriously until it's too late. Together, Elias & Bayley will do battle in the ground-breaking tournament on Facebook Watch, where male-female WWE Superstar pairings will attempt to win $100,000 for a charity of their choice. Each showdown in the competition will follow traditional Mixed Tag Team Match rules: When tagged, male Superstars face off with the opposing team's male competitor, and female Superstars battle fellow female competitors.